So yesterday was the dreaded TAX DAY in America. Despite being unemployed, and making less than last year, I still had to pay taxes. Cringe! In order to ease the sting a little, we went out to eat last night for my Cheat Day. I'm allowing myself one day a week to eat *almost* whatever I want. 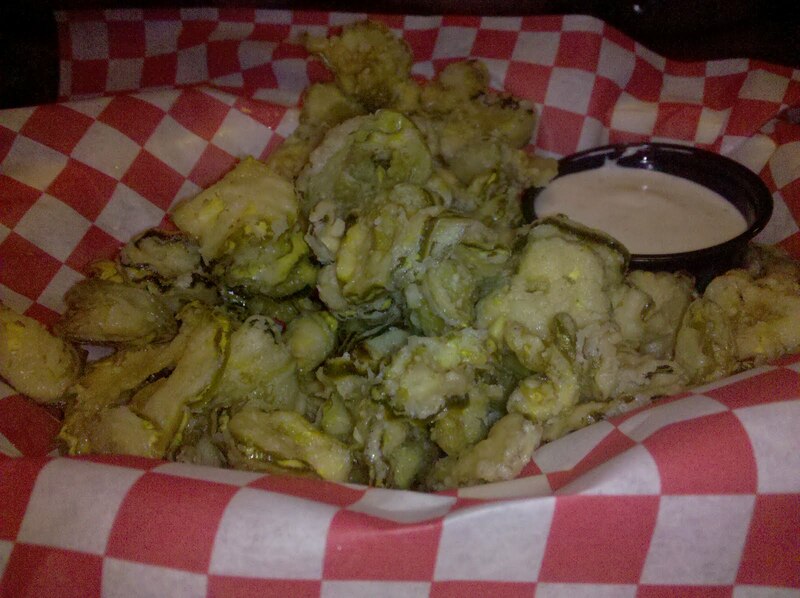 As an appetizer, we ordered fried pickles. If you're not from the South, and/or don't enjoy things fried, this probably looks gross! But I assure you, it's SOOO delicious! Fried pickles are exactly what you'd think: thinly-sliced pickles that are deep fried. I've seen them done a variety of ways, but I prefer them thin like this. Interested in trying it for yourself? I linked to a recipe above. So my loveys, what are the food delicacies indigenous to your area of the world? And for the Americans, how bad was your Tax Day?